One of my favorite spring pastimes involves driving through random suburban neighborhoods to take in all of the gardens coming into bloom against grassy green lawns. 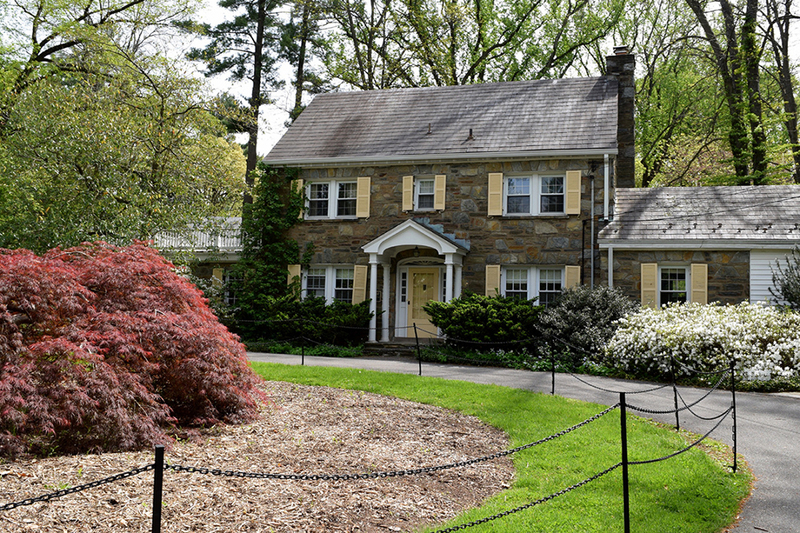 McCrillis Gardens, tucked into a posh Bethesda neighborhood, was at one time a fancy private residence boasting an oversized garden only visible from the road. 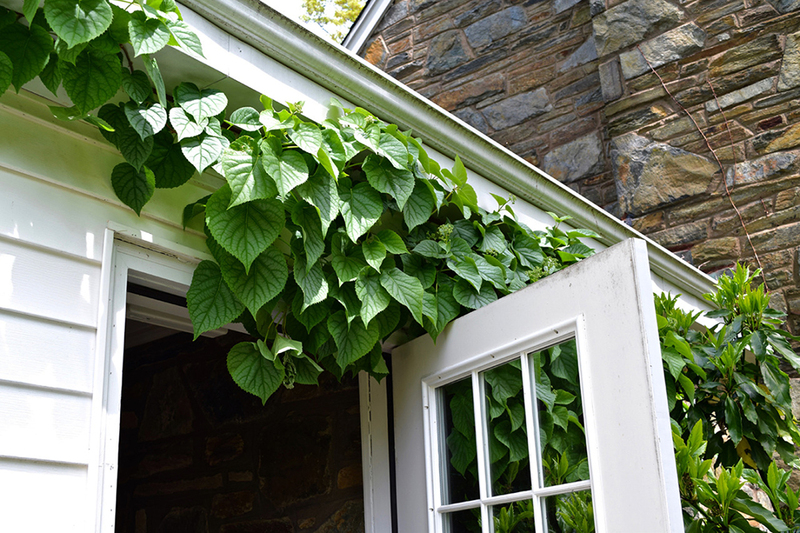 Amateur horticultural enthusiast William McCrillis spent 40 years transforming and expanding the property around his modest home into a wooded garden oasis before donating it to the state to be opened to the public and properly preserved. 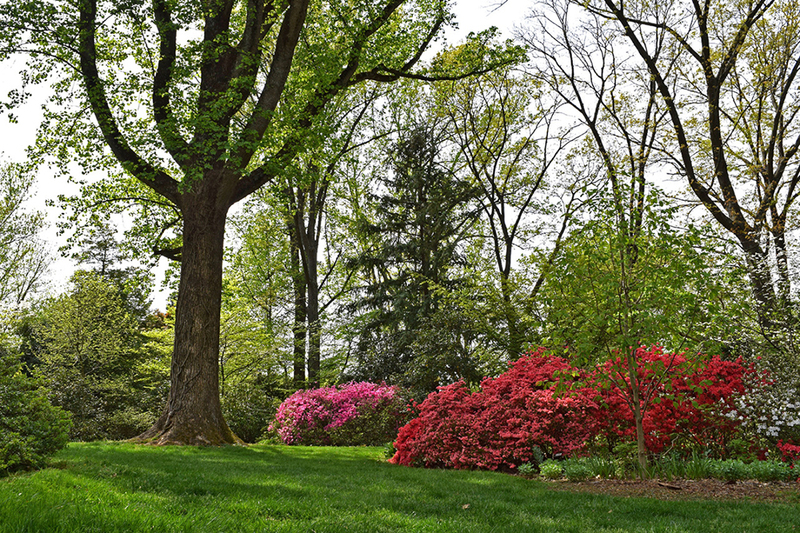 The azalea and rhododendron make the most colorful statements in the garden but the massive trees that offer the crucial shade for the flowering bushes are not to be overlooked. 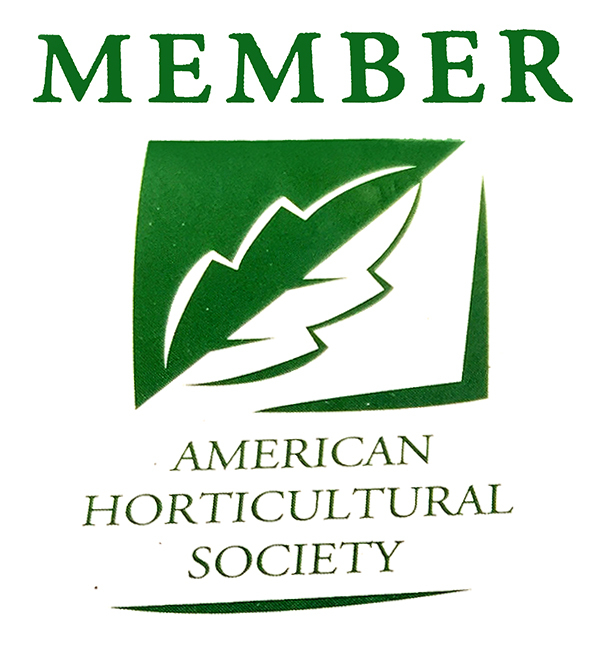 After purchasing the property in 1941, McCrillis joined the Men’s Garden Club of Montgomery County and his passion for gardening took off. As his obsession grew, he purchased surrounding plots of land to extend his shady, secluded garden paradise even further. With friends in high horticultural places in the city, McCrillis acquired numerous rare and exotic plants and trees to round out his collection. Thanks to McCrillis’ dedicated enthusiasm, much of the collection is properly labeled for easy identification and appreciation. I most appreciated the simple design that combines wide open stretches of lawn around the house with paths that wind off into dense wooded areas that make up the Upper & Lower Areas. 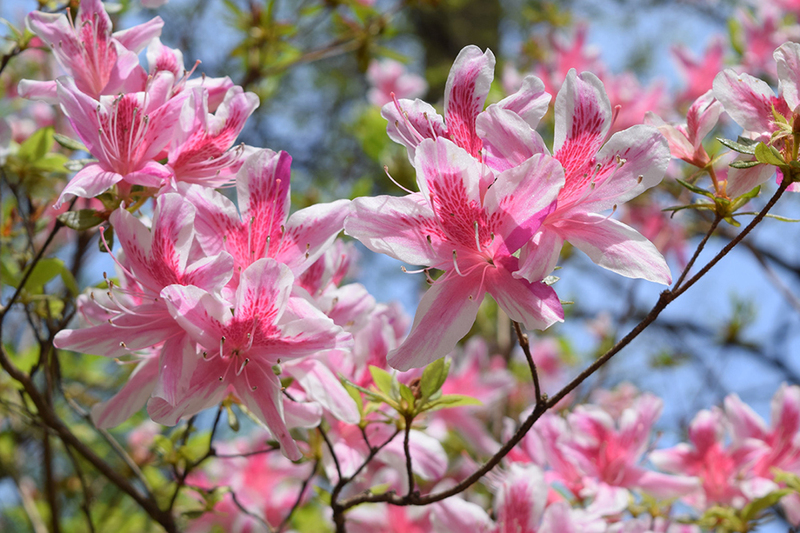 In the shade of these woods the 750 varieties of azaleas and rhododendrons make for an impressive collection that continues to bloom well into the early summer. Guests are free to wander about at their own pace or settle into one of the many benches and gazebos scattered about the place. It took two visits to fully explore all of the hidden spots and feel as though I had managed to see everything the garden had to offer. I was so taken by an impressive row of unlabeled trees along one edge of the property that I went home and researched further to discover these were some of the many redwood trees that appear all throughout the grounds. 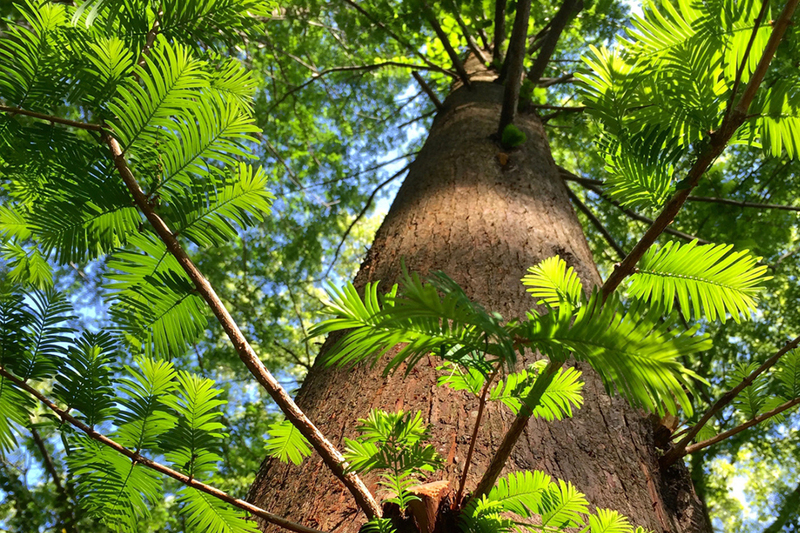 One of the first variations of the famed giant sequoia trees made available for commercial sale, the Metasequoia (dawn redwood) is significantly smaller but still can grow to notable heights. Their rigidly straight trunks a gorgeous reddish color, with their surprisingly gentle, feathery bright-green leaves, make them stand out distinctly from those surrounding them. Although the oldest redwood in the garden was destroyed in a lightning storm in 1993, a current tree towers 105 ft. over a clearing with a quaint gazebo almost perfectly placed in order to admire its arboreal majesty.